Did you miss Part 1 of the SLP Summit Recap: Free Technology Tools on Devices You Already Own to Help Your Clients Thrive blog? You can view it here. Can you use more than one picture on Bitsboard? Can it be set up for multiple users? Absolutely! I apologize if I breezed through the potential of what Bitsboard has to offer too quickly, as it’s been one of my top picks for many years! To use Bitsboard effectively, you first need to figure out the vocabulary you want to work on and then think about the strengths and weaknesses of the user to determine the type of games that will be meaningful, engaging and helpful. The words you choose can be found on boards that are already available in the app or you can download more from their online catalog. You can also use boards you create yourself using your own images. The possibilities are limitless. You can work on emotions, actions, single syllable words that start with the “G” sound, planet names, GRE vocabulary, or even the names of favorite restaurants. I often use this app with adults who have aphasia and apraxia, as well as children who have a wide variety of language and literacy challenges. Once you’ve determined the words to use and select the board (vocabulary set), the amazing part is that the words are automatically then used in the 25 mini-games that are included in the app. One game has the user record the word said aloud, another asks the user to point to the named picture, another uses the words in a crossword puzzle, and another has the user match the word to the picture. Each game can be customized to meet the needs of the user. Bitsboard can be configured for multiple users so that each person practicing is using content and activities carefully optimized for that individual. If you use the full version, you can share the boards you create with other iPads. What is the best app for making personalized social stories for young children? Social stories come in many forms. Some people like to use images and text, other like to show videos of the child doing certain expected activities, while others like to adapt social stories that others have created. Using video modeling can be a great way to teach new skills. I’ve used a number of apps in different ways. For starters, take a look at Story Creator to create your own personalized social stories. What resources or websites do you follow to help keep track of new apps? Great question! I spend many hours each week searching for and learning about new apps and technologies so I can make it easier for all of you. I watch webinars all the time, attend conferences, read blogs, and always keep an eye out for new resources, even if they were created for a different audience. 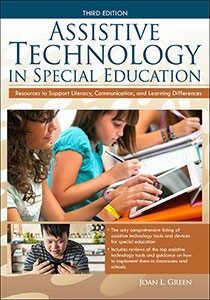 I actually sprinkled these resources throughout my book, Assistive Technology in Special Education: Resources to Support Literacy, Communication and Learning Differences, to help the reader find the most appropriate sites or individuals to follow. I’ve also posted quite a few of these resources on my website. If I had to suggest just two, I would recommend that you check out CommonSenseMedia.org and Understood.org. How do you use the apps in groups? Do you just pass the iPad around? Sometimes, depending on the size and nature of the group. There are times when you may want to work on an app that can be configured for multiple users. You then move the iPad around, with each person taking their turn while everyone plays a motivating game. You may want to make sure that students don’t exit the app either accidently or on purpose and use the Guided Access feature of the iPad. I did not mention one developer in the presentation that offers excellent apps for school-based SLPs who want to use apps with multiple students- Smarty Ears Apps. 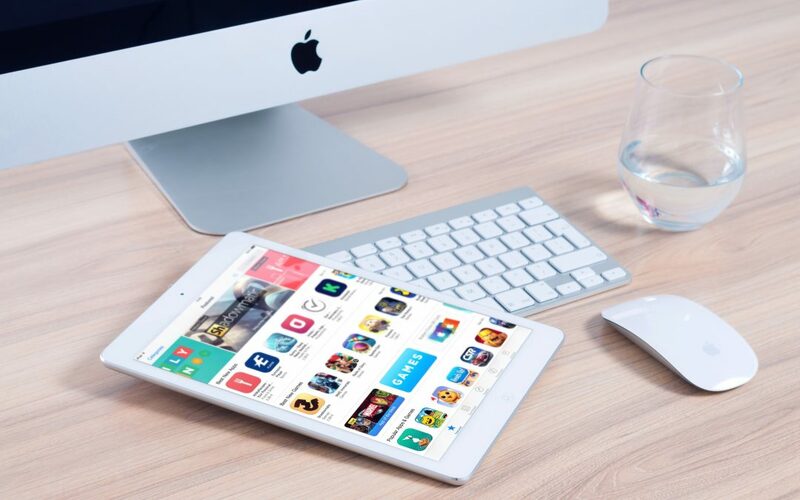 If I am working with a relatively large group, I will project the screen of my iPad onto a SmartBoard, monitor, or wall and use the app as a source of engaging content for everyone to view and interact with, taking turns improving our skills toward our own goals. I am unable to find the Bridge Communication Lite app through the app search feature. Bioprism, Inc. doesn’t show any results. Where can I find it? As this app is reasonably new to me, I did not realize that is is not available for iPhones. At this time, it is only available for iPad and requires iOS 8.0 or later. If you are searching on the app store from a device for which it is not available, it won’t show up. What are your thoughts about Schoology for speech and language support? I am not familiar with it, but it looks interesting. I have not yet worked with any schools that have rolled it out. I’m interested to know if you know of EBP for cognitive therapy with TBI patients with memory issues and difficulties with ADLs. Do you know of any apps or evidence of technology helping them? For documentation of EBP (Evidence-Based Practice), I refer you to ASHA’s Practice Portal. My initial approach when helping patients with TBI (traumatic brain injury) is to find ways to leverage the benefits of technologyt o make life easier. If a person has difficulty reading, we try using text-to-speech, decluttering the visual stimuli, or perhaps simplifying the information. If writing is hard, we may try using the “Voice typing” feature in the “Tools” menu of Google Docs to see if dictation may help. Perhaps word prediction might be useful. If learning steps in a task is difficult, perhaps we could create videos to help learn a new process. If a person is disorganized, we can work on de-cluttering the desktop, organizing Google Drive, or perhaps use another cloud-based storage system such as Drobox. Setting up a calendar with reminders and tasks using color-coding can also be useful. In my practice, I prefer to start with these types of tasks, then turn to apps that provide exercises to improve concrete tasks that related to ADLs. One of my top picks for that is Constant Therapy, which is supported by quite a bit of research. If the individual is unable to interact with the technology at a functional level, we may start with apps using motivating cause and effect responses to promote engagement and sustained attention. It all depends on the person and their particular cognitive profile. Can you please talk to us about the 30-day tech challenge and any new classes you are creating? Many of you have reached out to me requesting more opportunities to learn more about using your computers and mobile devices to help others who have communication and learning challenges. You also might be interested in helping yourself become more tech savvy so you can better help others or improve your own skills. I am currently in the process of creating several methods so I can continue to help you. Some will be free, and some will require a financial investment. Stay tuned for more info. I invited you to connect with me online in the IST Tech Savvy Solutions Facebook Group, follow and “like” my Innovative Speech Therapy Facebook Page, view the Events and Webinars tab of my website, and join my email list to keep learning how I might be able to help you!